Kayla saw something at the party that she wasn't supposed to. But she hasn't told anyone. 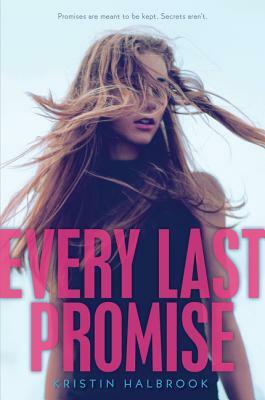 No one knows the real story about what happened that night—about why Kayla was driving the car that ran into a ditch after the party, about what she saw in the hours leading up to the accident, and about the promise she made to her friend Bean before she left for the summer. Kristin halbrook is the author of Nobody But Us. When she isn't appeasing her sense of wanderlust, she lives in Seattle, where gray skies and good coffee make ideal writing conditions, and where fine company is provided by her husband and a gaggle of pixies.